Lock in a great price for Mackays Hotel – rated 8.5 by recent guests! 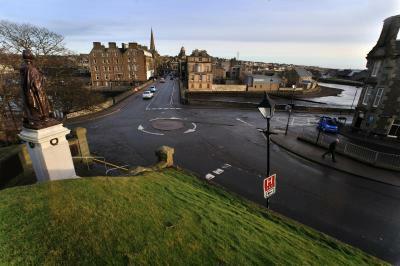 Good breakfast and good view, a good reside place during NC500. Friendly informative staff, lovely breakfast. Saw otters in the river! 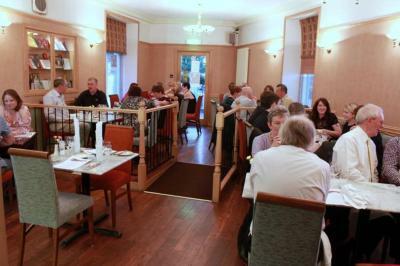 Excellent staff, excellent food, excellent room and facilities. House 'guests' in the foyer were an additional extra. 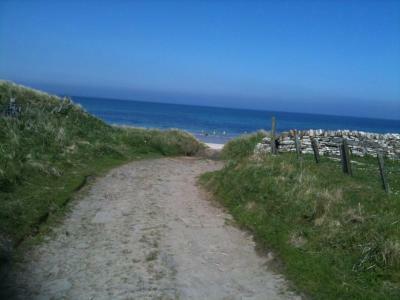 Would have to rank up there with one of the best places we have ever stayed. 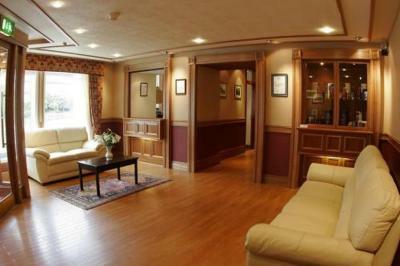 A very traditional Hotel, with a good sized room and comfortable bed. Focus is very much on quality. Very friendly owners and staff. Excellent meal in restaurant. Dinner was good, wine was lovely, room was good. Breakfast was lovely. Staff were very friendly. Loved my stay, also it was my birthday and they wrote “happy birthday” on the plate with my desert. Very nice. 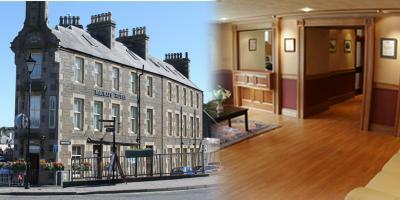 A really lovely hotel in great location in Wick. 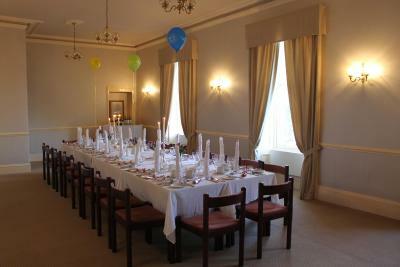 The staff were excellent, extraordinarily attentive and helpful. 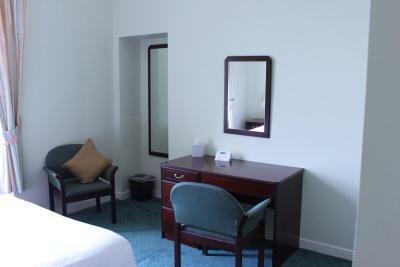 The double room was very large, quiet, warm and comfortable. The restaurant was very good with a good menu. The staff were outstanding. A very warm and friendly welcome after a long journey. 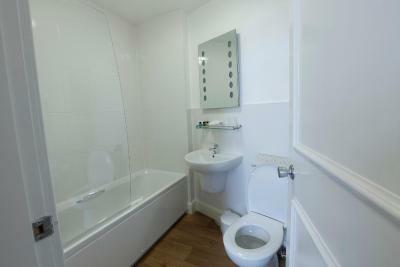 The room was clean and spacious with an ice bathroom and an amazing shower. 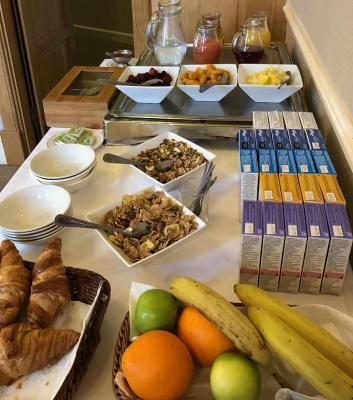 Breakfast was good with a good choice and again the staff were really attentive. 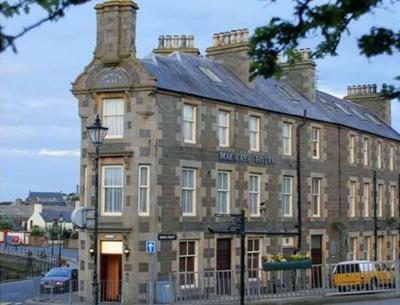 Mackays Hotel This rating is a reflection of how the property compares to the industry standard when it comes to price, facilities and services available. It's based on a self-evaluation by the property. Use this rating to help choose your stay! 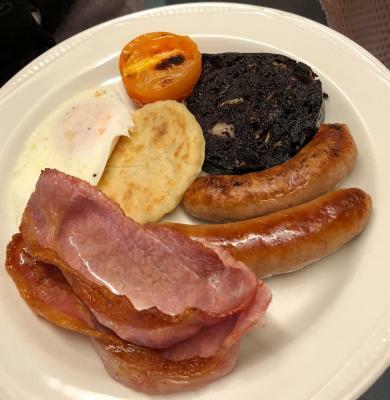 In Wick, in the beautiful area of Caithness in the Northern Highlands, Mackays offers award-winning service and fine food in No1 Bistro, as well as free Wi-Fi and parking. 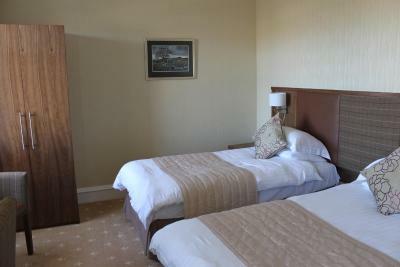 Built in 1883, Hotel is regularly updated, combining attractive period features with simple, stylish touches for a relaxed atmosphere. 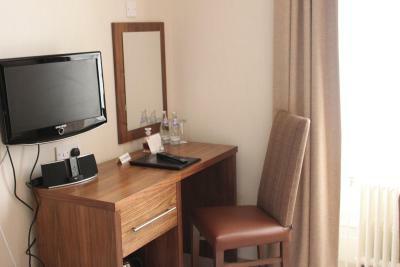 Rooms have a wide-screen TV, free Wi-Fi and a guide to the local area. 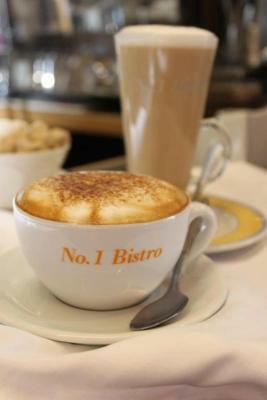 No1 Bistro serves local produce and fish from the boats of nearby Scrabster. In the friendly bar, whiskey and wines are a specialty. The Orkney Islands are a ferry ride away, and you can visit The Castle of Mey, which was home to the Queen Mother for many years. 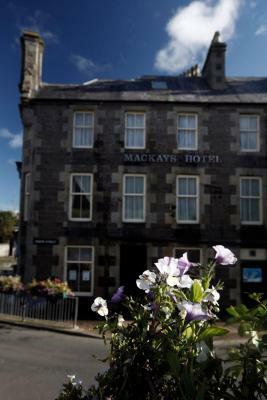 When would you like to stay at Mackays Hotel? 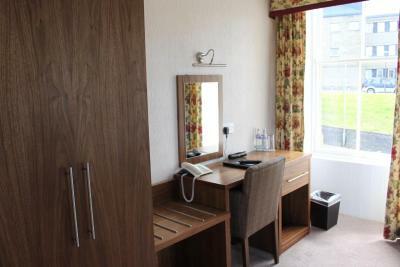 This room with attached bathroom includes a 30-channel digital TV, a hairdryer, a courtesy tray, a telephone, complimentary toiletries and free Wi-Fi. A spacious room with a view over the river. 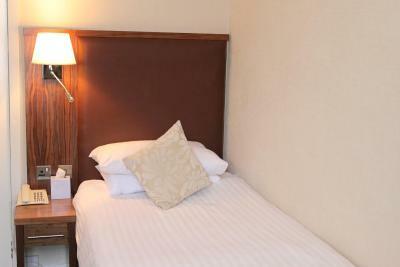 It includes free Wi-Fi, a queen-size bed and a 30-channel digital TV, a hairdryer, a telephone and complimentary toiletries. Some of the rooms also come with a spa bath. 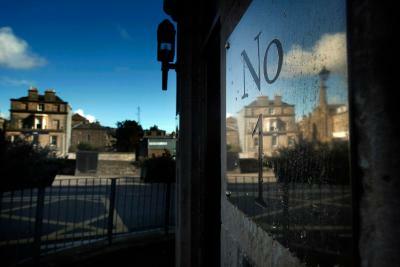 With 3 views, this room overlooks the shortest street in the world. 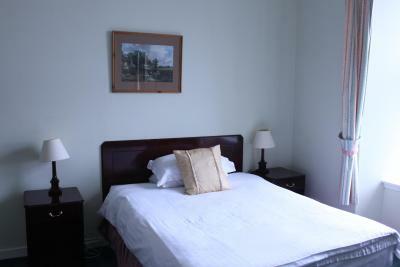 The room can be set up with 3 single beds or 1 king-size bed and 1 single bed. 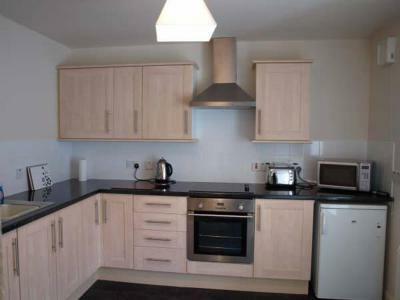 This apartments offers a double bedroom, a kitchen, living room, and a bathroom. 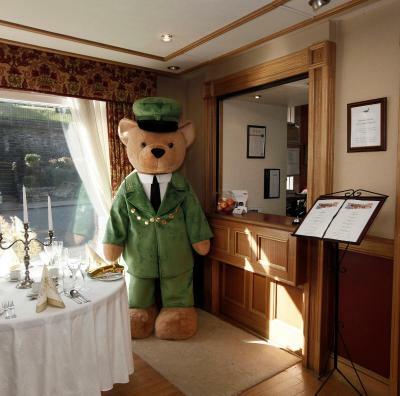 House Rules Mackays Hotel takes special requests – add in the next step! 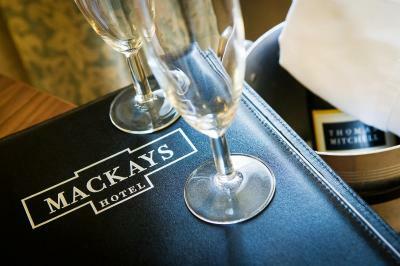 Mackays Hotel accepts these cards and reserves the right to temporarily hold an amount prior to arrival. Please note, the hotel does not accept American Express. On-street parking but there's not much that can be done about that due to the location. 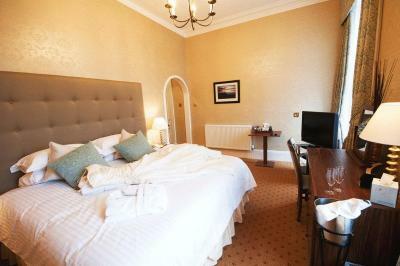 My only comment would be that although the double bed was massive, which is great. However, the mattress was too saggy for my liking, which is a shame. But maybe that's just me. Everything about our stay was excellent especially the receptionist who in my and my son’s estimation was the best you could have. 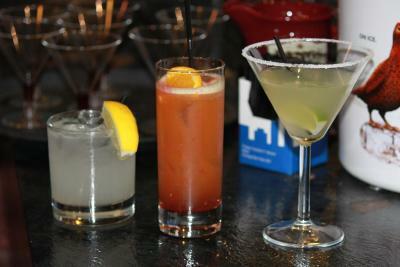 The personal is a 10 family tipe great atmosphere. Good central position, pleasant staff.